Donald Trump arrives in Paris on Friday to commemorate the end of World War I. (Andrew Harnik/AP, FILE) President Donald Trump and French President Emmanuel Macron embrace at the conclusion of a news conference in the East Room of the White House in Washington, April 24, 2018. "Very few world leaders have a normal relationship with Donald Trump," Védrine told ABC News. "In this context, Macron thought it was worth trying to create a warm friendship with the U.S president." By inviting Trump to be his guest of honor at France's elaborate Bastille Day celebration in July 2017, Macron demonstrated his intention to create a special relationship between the two countries, said Annick Cizel, a professor at La Sorbonne University who specializes in American foreign policy. The two leaders are also "disruptors" and share some characteristics that have helped them forge a personal bond, according to Alexandra De Hoop Scheffer, the Paris director of transatlantic think-tank the German Marshall Fund. (Spencer Platt/Getty Images) French President Emmanuel Macron addresses the 73rd United Nations General Assembly, Sept. 25, 2018, in New York City. "It's a meeting between two disruptors in their respective countries," De Hoop Scheffer told ABC News. "They were both elected by breaking the established political system in France and in the United States." "'The Art of the Deal' is an expression associated with Donald Trump. But it can also be applied to Emmanuel Macron," Cizel told ABC News. 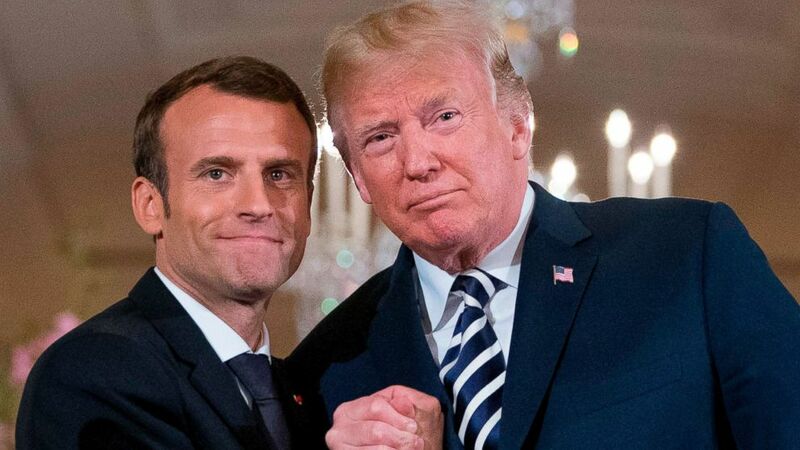 "The U.S. president sees Macron as a negotiator, a pragmatic. Trump likes these attributes," De Hoop Scheffer said. "On the fight against global terrorism, most notably in Africa and Syria, there have been strong, concrete results by the two allies," De Hoop Scheffer added. "Macron has not given up on the personal friendship approach he put in place toward Donald Trump since the beginning," Védrine said. "But he has completed it by pointing out disagreements between the two leaders." Those disagreements were on display at the UN General Assembly in September, where Trump and Macron's speeches revealed their two very different views of the international order. Trump’s unilateralist agenda sharply contrasted with Macron’s support for multilateralism and liberal values, De Hoop Scheffer said. 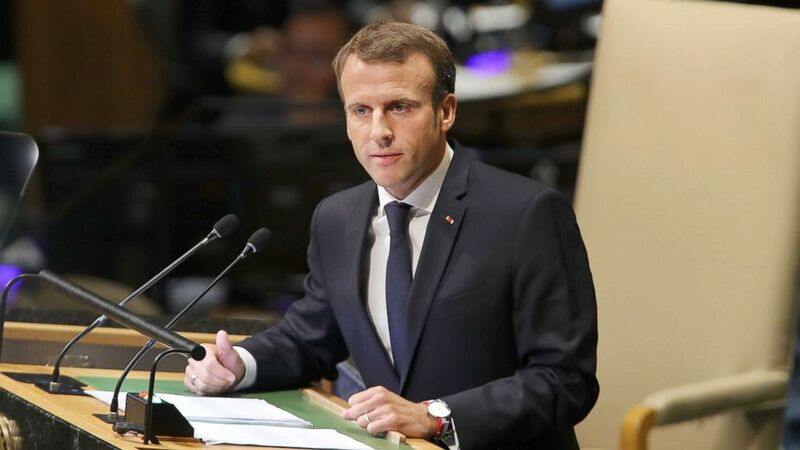 "It felt like President Macron was responding to President Trump point by point when he took the stage at the UN last September," Cizel said. "Who knows: maybe one day Macron’s method will bear its fruits," the former French foreign minister said.